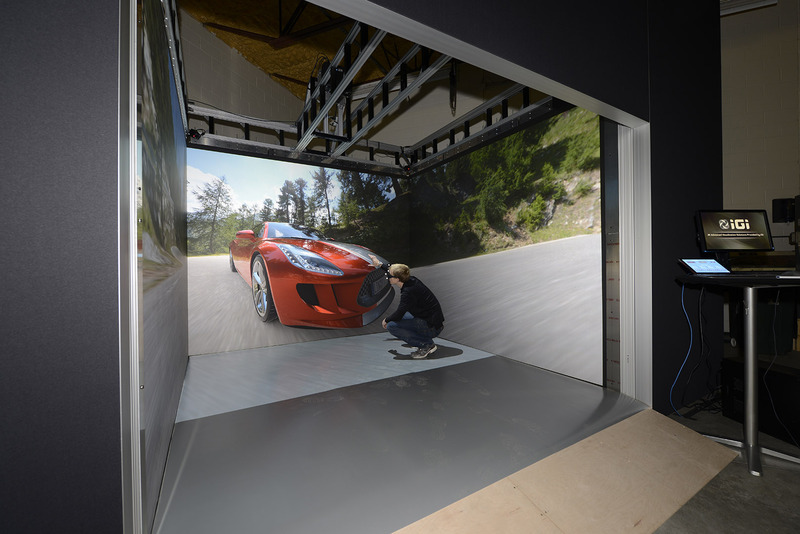 The CAVE automatic virtual environment is a multiple-sided room in which high-resolution stereo content is projected onto each one of the walls including the floor, ceiling or both. 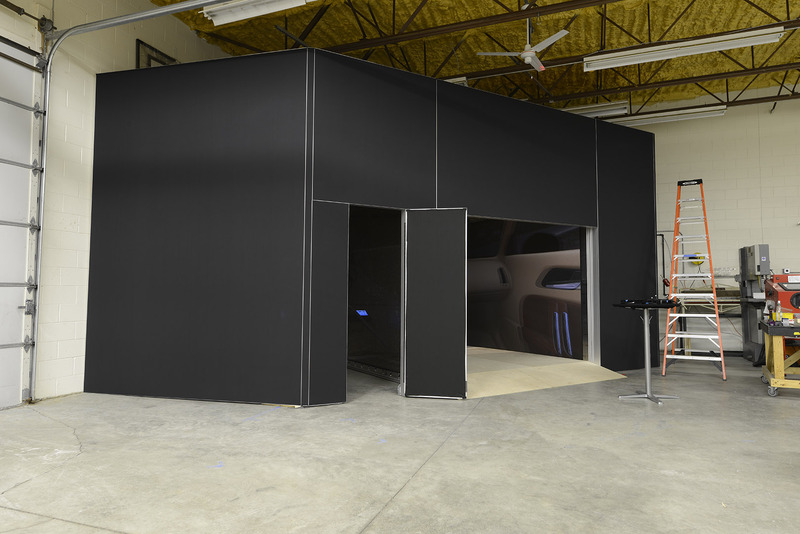 IGI CAVE Systems are virtual reality environments where single or multiple users can be immersed in a real-time, rendered 3D environment. CAVEs can be used along with a PowerWall and HMD (head mounted display) locally or between sites to enhance collaboration and communication. 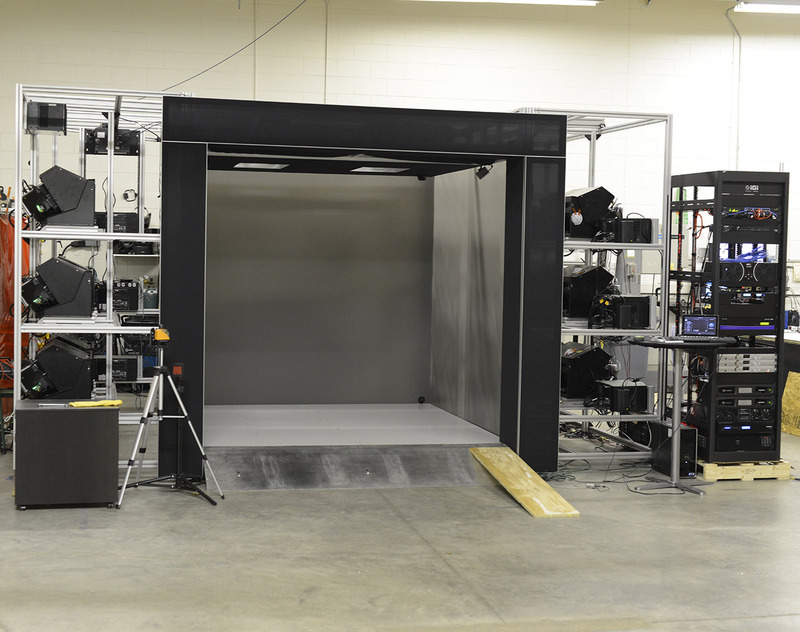 CAVE Systems can be used to optimize and validate engineering concepts, check for ergonomics conformity or simply “walk” around a model. 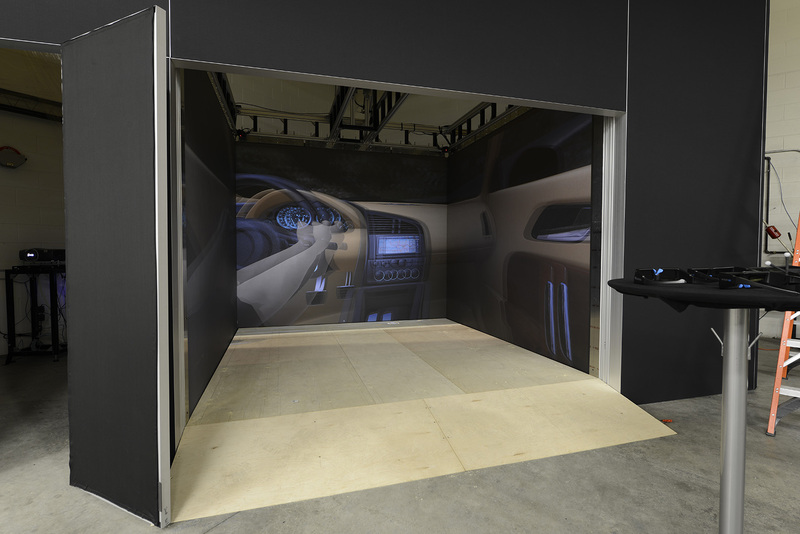 The CAVE System VR environment streamlines the go-to-market capabilities of companies looking to perfect their product before incurring the costs of tooling and prototypes. 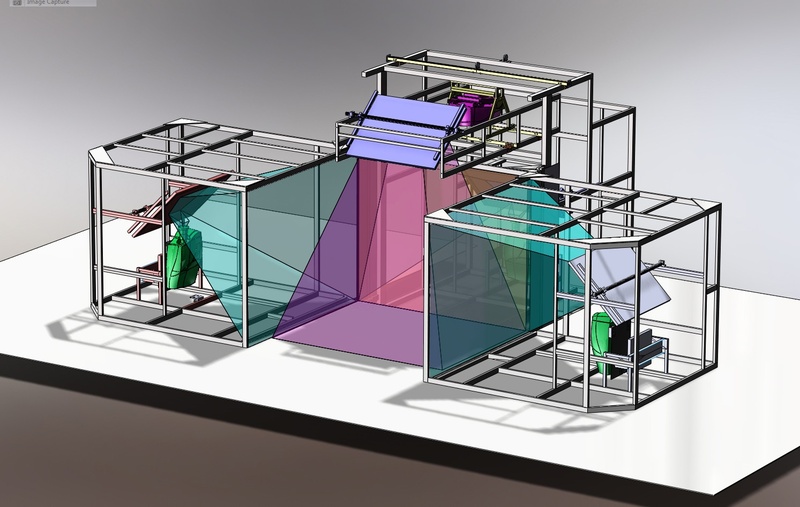 By immersing decision makers into the actual CAD (computer-aided design) model, the lifelike environment produced by the CAVE System allows users to make intelligent and accurate decisions based on photorealistic images. 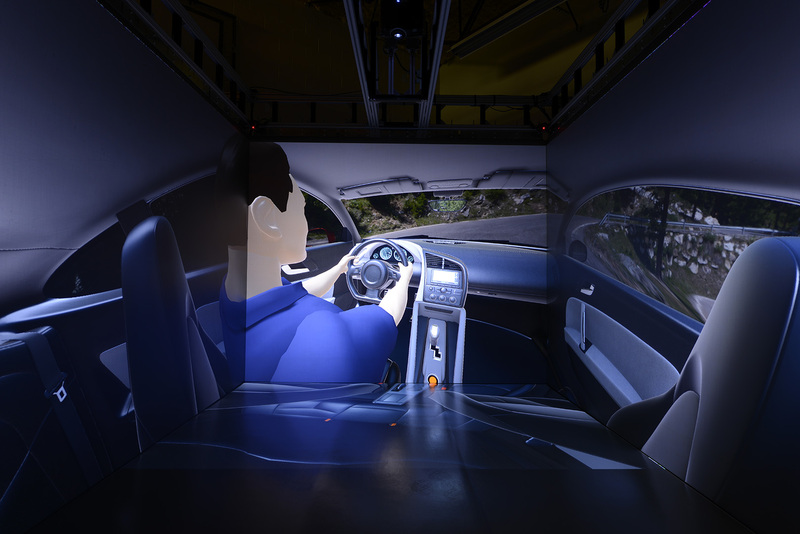 Optical tracking in the CAVE System references the viewer's head and any wands or controller devices used to enhance the experience. 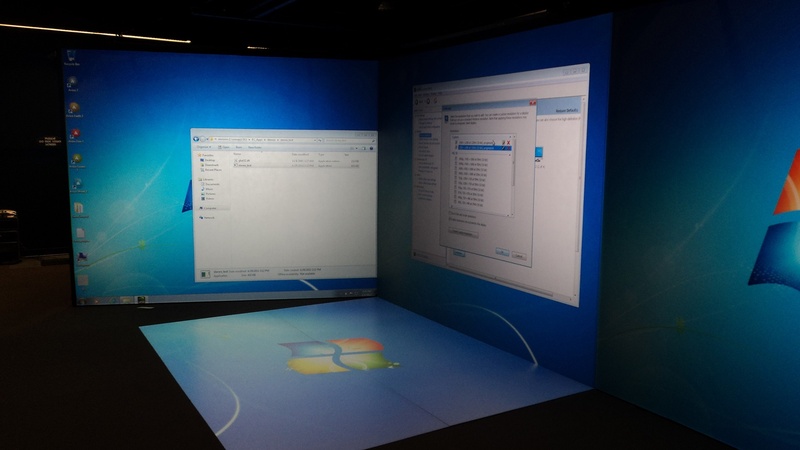 Typically, rear projection is used on the walls and ceiling, and even the floor. 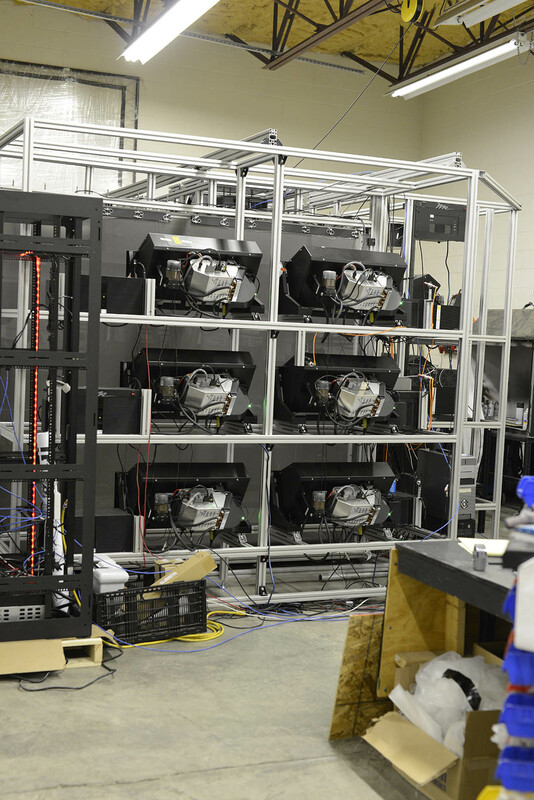 Depending on space allocation, budget and resolution expectations, each custom IGI CAVE System will contain the most innovative visualization technology available such as HD or 4K image projection and even the latest LED tiles to provide the highest quality 3D stereo viewing experience available. 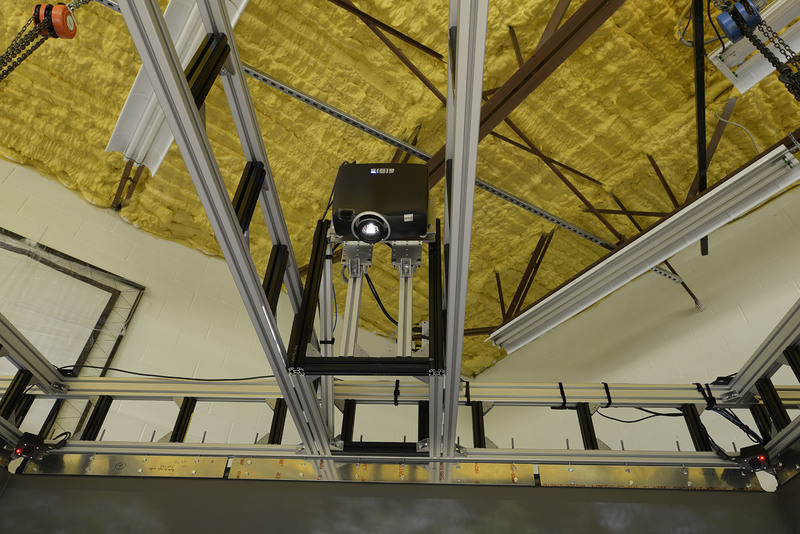 Learn more about CAVE system integration on our frequently asked questions page. 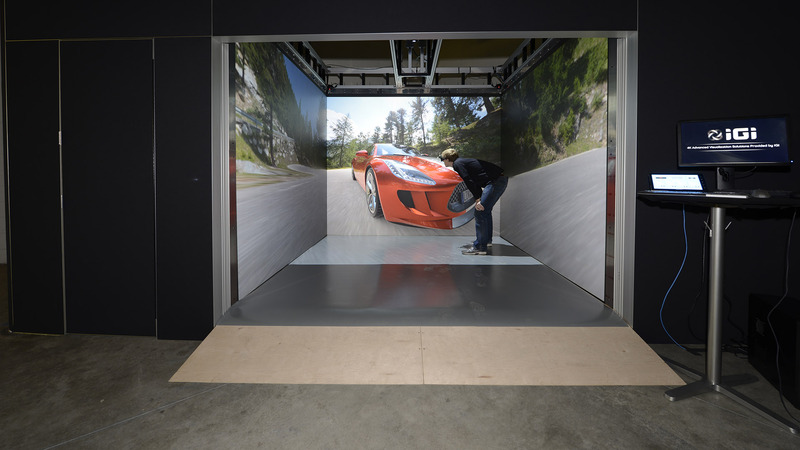 CAVE Systems are frequently used in design and engineering reviews because they are a lifelike virtual reality experience. The environment provides a level of data analysis unmatched by any 2D screen. The unique advantage of using a CAVE system is to be completely immersed so it feels like you are working with the actual model being evaluated. 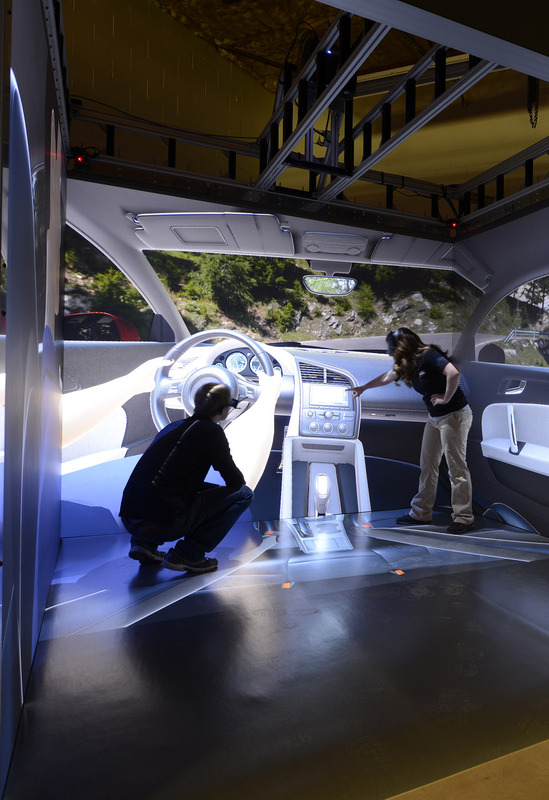 In automotive design and engineering, many things can be accomplished while immersed. These advantages allow automotive environments to perfect their design before beginning their clay model process. Early CAVE system designs were limited to lower resolution quality. With improvements in technology, CAVE systems are very high-resolution (HD or 4K).